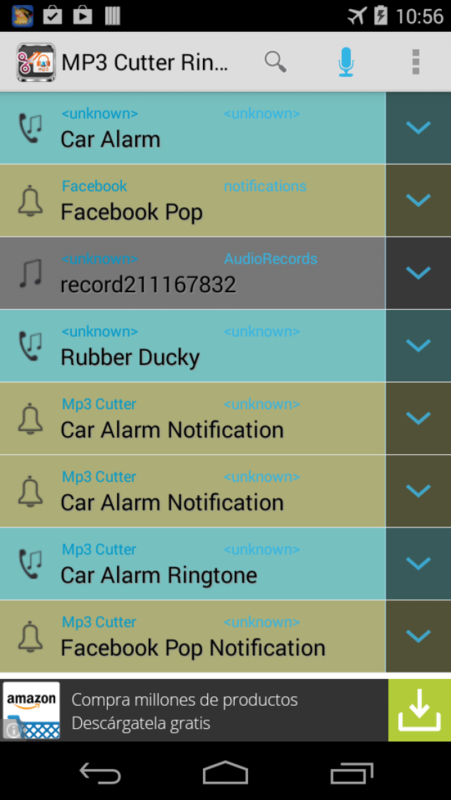 Edit your songs cutting them to select the desired audio portion and save it as your ring tone / alarm / Music / notification tone. The results of his songs for ringtones will be stored in "/ mnt / sdcard / media / audio". 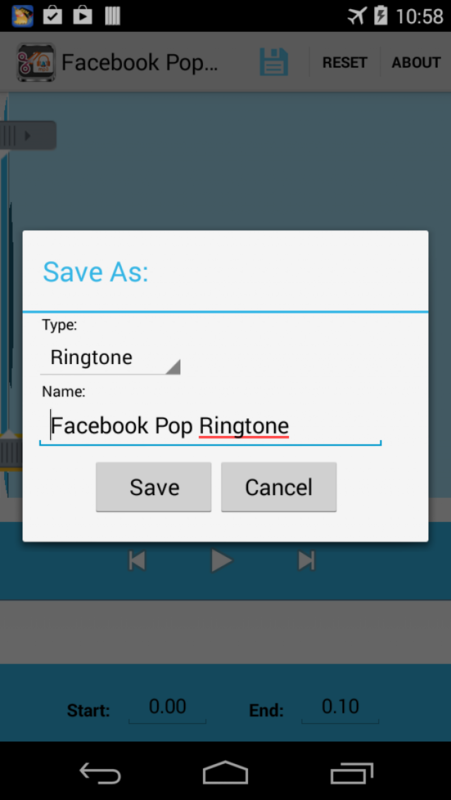 Make your own MP3 ringtones fast and easy thanks to mp3 ringtone generator. 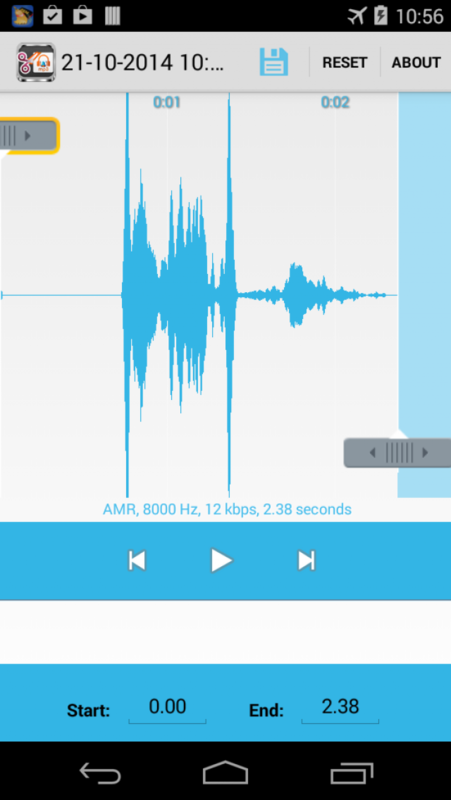 Also you can record live sound thanks to recording function after ringtone to edit and crop the best parts free. Supports MP3, WAV, AAC, AMR, and most other music formats. 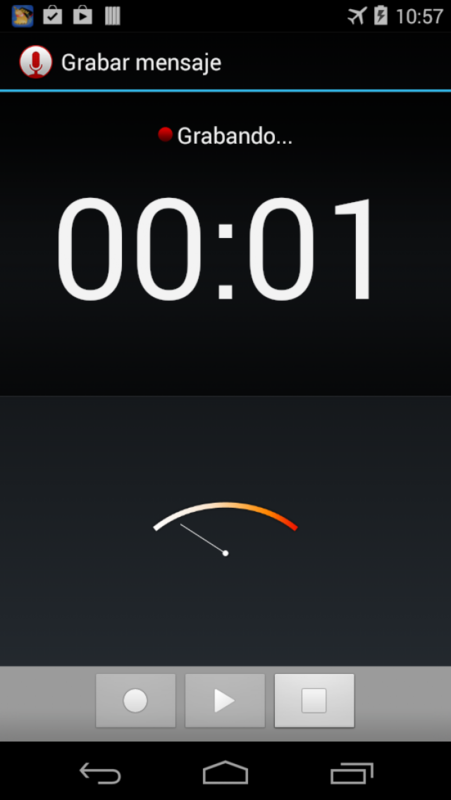 1.Select your Mp3 audio from your phone or create a recording. 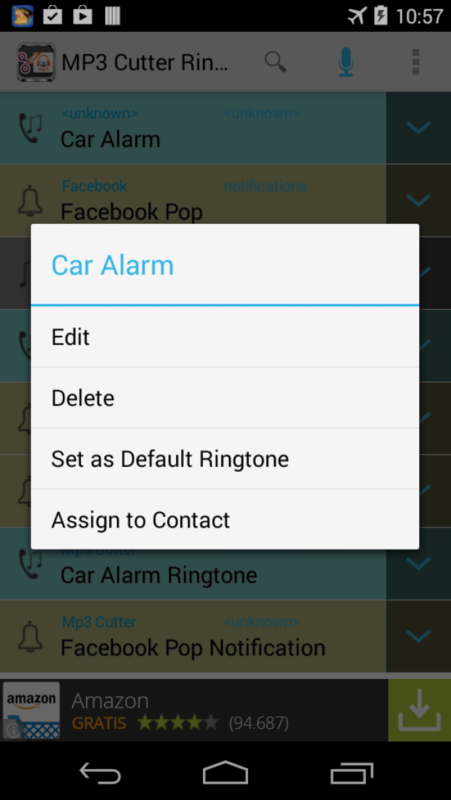 3.Save as ringtone / music / alarm / notification.
? manually setting the start time and end time (in seconds), enter values ? ?in the text boxes at the bottom of the application.
? option to name the new clip cut while saving.